Born in China and raised in New York, Shuai Wang has always been surrounded by amazing food. He attended the Art Institute of NYC, and honed his cooking skills in the busy restaurants of Manhattan. Today Shuai shares his love for food with the people of Charleston, South Carolina. Working closely with local farmers and fishermen, his cuisine is inspired by his Chinese heritage and Japanese fare. 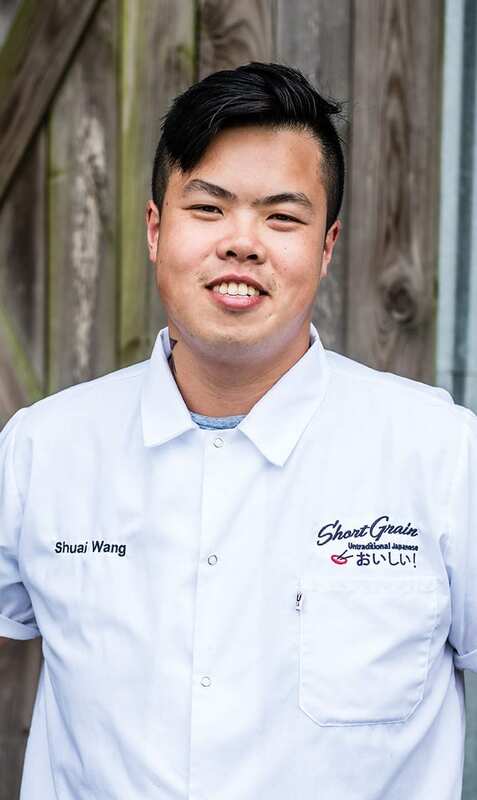 Shuai is a winner of the Eater Young Guns Award and his food truck Short Grain was named one of the America's Top 50 Best New Restaurants by Bon Appetit. Most recently, he was nominated for a James Beard Award for Rising Start Chef. His and his wife’s highly anticipated restaurant, Jackrabbit Filly, will open summer 2019.